Noel: "keep my kids in sweets"
Oasis' first of three homecoming gigs at Manchester's Heaton Park went off with a bang… followed by a fizzle, and a whole lot of silence. 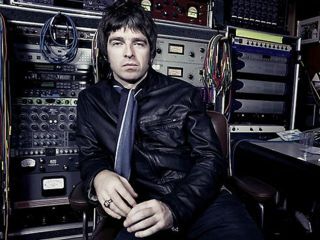 'Technical problems' plagued the set, which Noel Gallagher apologised for by offering fans a full refund. "Everyone who's kept their tickets will get a full refund," offered Gallagher to a booing crowd. "This is a free gig from now on." To put this gesture of generosity into perspective, that's 70,000 fans at £45 per ticket. That's at least £3m. A fact which evidently dawned on Gallagher a few moments later: "we're not getting paid for this so buy a t-shirt on the way out. Credit crunch and that, keep my kids in sweets."